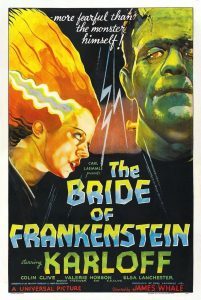 The Bride of Frankenstein (1935): This monster classic and sequel to 1931’s Frankenstein is as heartbreaking as it is scary. It depicts the great struggle of the Monster (Boris Karloff) to find love and companionship in a town of people that is only willing to hate and destroy him. The scene between him and a blind man is particularly touching. 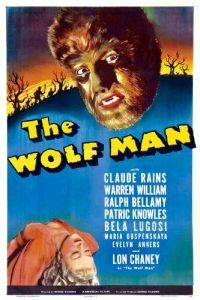 The Wolf Man (1941): Starring Lon Chaney Jr. and the legendary Claude Rains, this chilling and ultimately heartbreaking classic tells the story of a kind young man who is bitten by a werewolf and becomes doomed to commit violent acts against his will when the full moon is out. 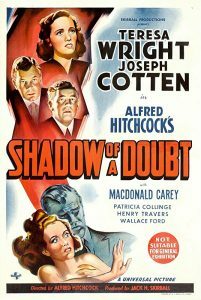 Shadow of a Doubt (1943): Alfred Hitchcock’s favorite of his own films, this masterful thriller stars Joseph Cotten as a cynicism-scarred serial killer and Teresa Wright as his unsuspecting niece. 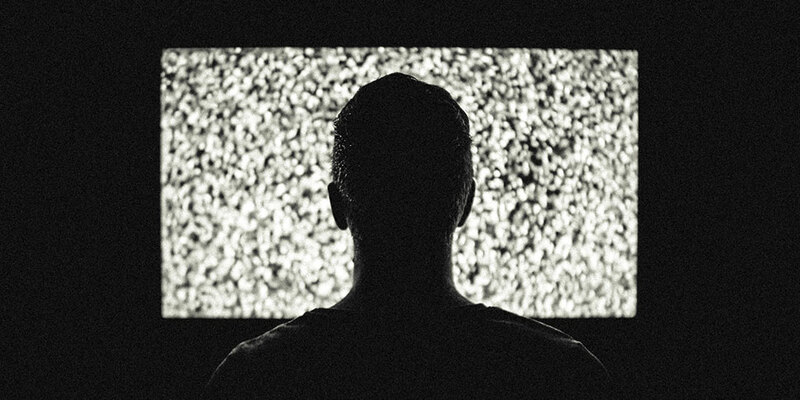 A thoughtful analysis of what cynicism does to the human soul. 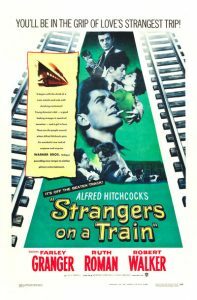 Strangers on a Train (1951): Another Hitchcock classic, this film tells the story of an unhappily-married tennis star who meets a father-loathing socialite on a train. Seeing that they both have people in their lives who they kind of want dead at the moment, the socialite proposes the idea that they do each other a favor by “swapping murders” and therefore achieving their respective wishes without having the crime traced to them. The tennis star just laughs this off, not thinking this crazy fellow could possibly be serious– that is, until he hears later on that his wife has been murdered. One of Hitchcock’s most suspenseful and masterfully-crafted works, this film takes the advice “be wary of what you tell strangers” to a whole new level. 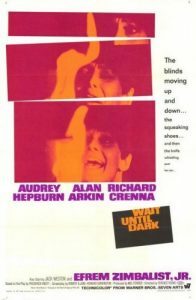 Wait Until Dark (1967): Directed by Terence Young, who helmed three of the Sean Connery Bond films, this thriller stars Audrey Hepburn as a blind woman who accidentally acquires a doll stuffed with heroin. While her husband is away, a murderous thug (played by a young Alan Arkin) and his two henchmen gradually break in and try to manipulate the poor woman into giving them the doll. Highly suspenseful (especially at the climax), it is a perfect example of how an engaging story and compelling characters do a much better job of making a movie scary than lots of blood and gore. 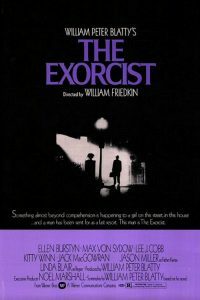 The Exorcist (1973): Not for everyone but undeniably powerful, this film is known as a horror classic but is really more of a heavy psychological/spiritual drama. It tells the story of a tortured, faith-doubting young priest who must team up with a wiser and older priest to save a young girl from a demon who possesses her. The plot thickens when the young priest realizes that what the demon really wants is his own tortured soul. An effective and discussion-worthy film from Catholic writer William Peter Blatty, who hoped that if people saw the reality of spiritual evil, they would also see the reality of Divine Goodness. 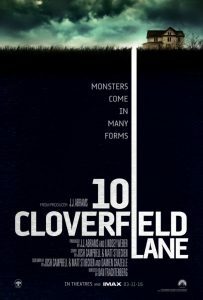 10 Cloverfield Lane (2016): Old-fashioned and Hitchcockian in the best of ways, this modern-day thriller stars John Goodman as an eccentric farmer who keeps a young man and woman captive in an elaborate underground shelter, claiming that the air outside has been made toxic by an apocalyptic attack. Is he right? Is he crazy? Is he both? Viewers will just have to wait and see… In addition to being tactfully suspenseful, this film also provides brief but poignant commentary on the difficult human struggle to defy cowardice and act bravely when our neighbors are in harm’s way. 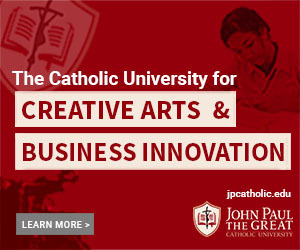 Sam Hendrian is a student at JPCatholic (Class of 2019) pursuing a double emphasis in Screenwriting and Directing.